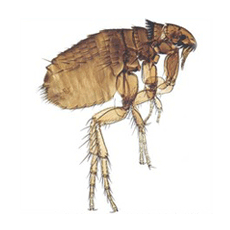 Fleas are about 1/8 inch long and black to reddish-brown. They are wingless and laterally flat. Fleas generally prefer cats, dogs, rabbits, rats, etc. but will readily feed on humans as well. Adult fleas try to remain on the host animal for their lifetime. 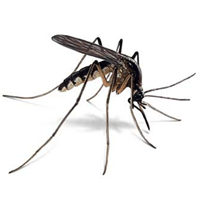 They can also be found in pet bedding, resting areas, carpet and furniture. 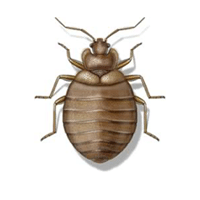 For more information on keeping your home flea-free, get a quote today or contact your local pest control specialist! Their main source of food is blood. Adult females lay 4 – 8 eggs after each blood meal. The eggs fall wherever the host animals happens to be at the time. The eggs hatch in approximately 10 days. The flea goes through a complete metamorphosis, from egg to adult could take as little as 16 days or up to a year or more. Biting, itching, and scratching. 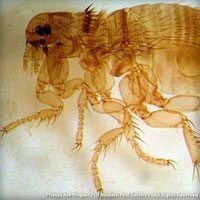 If you have ever dealt with fleas then you understand they are definitely a nuisance. Not only are they a nuisance they can be very difficult to get rid of. If you find yourself battling a flea infestation, don’t wait. 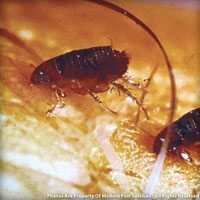 Call Modern Pest Services today at 1-888-997-3312 or get an online quote for the comprehensive HomeCare Green program that controls 60 common pests – including fleas!